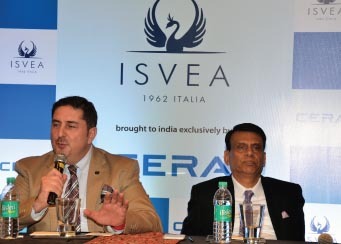 As premium home solutions brand Cera launched Italian luxury sanitaryware ISVEA in India this April, both the companies celebrated a win-win situation. Cera’s chairman and managing director Vikram Somany was upbeat that the Italian sanitaryware leader would be instrumental in giving Cera the much-needed push in the premium segment. At the same time Erdem Cenesiz, chairman of ISVEA, was jubilant about entering a buoyant new market. Growth at the 26-year-old Indian company is already surging, and it has commenced production of tiles through its JV with Anjani Tiles. Its faucet and sanitaryware plants have also recently undergone modernisation. This exclusive distribution tie-up with ISVEA will be another shot in its arm. “Our research in the market has brought up that our clients are highly interested in premium products. That segment is growing faster and stronger than other segments in the organised industry,” says Somany, adding that some reports peg it at approximately 30% year-on-year in the last three years. Global brands have been aggressive in targeting brand conscious high net worth customers and continue to dominate the premium sanitaryware market. ISVEA’s products are expected to be priced upwards of Rs 15,000. Besides the Style Studios, the crème de la crème of Cera’s distributors will be in charge of ISVEA’s premium range of products. 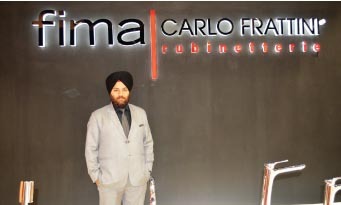 “In India, Italian brands are perceived as high-end and premium. We have been scouting for an appropriate partner too to add to our product portfolio. Now interior designers looking for niche products to add value to their homes will have a high-end recommendation for their clients within Cera,” says Somany. ISVEA products are out on display in Mumbai, Chandigarh, Kerala and Hyderabad and the company plans to roll out 20 stores in the next three months. What is the USP of your design? Design is the USP of our products [smiles]. And our design’s USP is that it is the most coveted. Most of our product ranges have bagged design awards including the prestigious Red Dot and the A’Design Awards. We have a wonderful collaboration with the top designers of Italy such as Meneghello & Paolelli Associati, Nativita Design House, Simone Valsecchi, OMC2 Design Studios, Genesis Design Studio and Sevil Acar. We are constantly innovating. What is the guiding force behind your award-winning designs? It’s art, certainly. Art inspires us to create our products. Also, we motivate ourselves to not just look at design trends from within our field. We have an eye on trends across society. We look for inspiration from the fashion industry, from the world of art and even from trends in the digital media. How do you use design to your advantage to make it a strong marketing proposition? I am not a marketer; I am just a designer! But I can say that our idea is to marry technology with design to give our products an edge which helps them sell better. Erdem Cenesiz, chairman of the 50-year-old ISVEA, that sells in 64 countries worldwide, says that he trusts the vision that Cera’s management has. “We think we will make a great team. In Italy, we are a big company but Cera is going to be big for us. ISVEA is known for its aesthetic bathroom spaces with maximum comfort and convenience, combining design with technology. 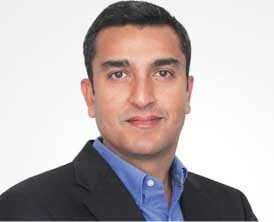 For us, the Indian partnership is not just for marketing products but for taking some of Cera’s products to European markets too.” Cenesiz reveals that the Indian company’s faucets range is being strongly considered for distribution through their existing channels in Italy and other parts of Europe as well. Some of the technologically advanced products that ISVEA is launching in India are CleaRim WCs (rimless hygienic WCs), Aquaplus WCs (water-saving WCs using 2.7 litres of water), DecorPlus (printed washbasins), SmartPlus (with built-in personal hygiene), Softclose (with noiseless closure lids), SterilPlus (bacteria-free product) and e-Motion (height-adjustable WC and washbasin).